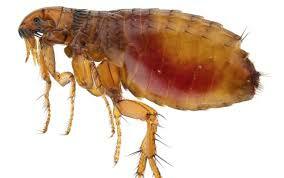 Fleas can not only make your pet miserable but your entire family as well. Adult fleas feed on blood an in warmer weather they can multiply at an astonishing rate and therefore it is important to put in place an effective flea control program to break the cycle. Sever Discomfort – including scratching, chewing, biting and restlessness. Flea Allergy Dermatitis (FAD) – a common veterinary dermatological condition. Anemia – especially in young or smaller pets, or in debilitated adult pets, as a result of severe infestations. Fleas have been know to bite and cause skin irritation, itching and localised swelling. Fleas breed frequently therefore it is vital to fix the problem as soon as possible. Fleas can also easily transfer from pets to people. Call Jim’s Termite & Pest Control now and we’ll work with you to control your Flea Problem – Guaranteed! using a variety of formulations around your property including a special dust in your roof void and also your sub floor as well as treating various areas inside your home – hard floor surfaces, carpets, rugs, sofas and under furniture and patios/verandas. using the safest pesticides available and an insect growth regulator which interrupts the life cycle of the flea – IGR’s enhanced treatments and are amongst the safest products available. Ensure your pet has been treated for fleas. You can get formulations from the Supermarket or Vet which are safe and effective. You can also give your pet a flea bath or call Jim’s Dog Wash and they will happily provide this service as well. Wash all bedding in hot water – the same goes for your pets bedding. Vacuum all hard floor surfaces and carpets and rugs thoroughly and ensure that the contents of your vacuum cleaner are double bagged before disposal.